Bestselling Author, Kat Flannery: Kat's New Release!!! who lives in a time when independence is not an admired trait." Fern Montgomery was desperate. She slapped the reins onto Nelly’s brown back. The old mare couldn’t go any quicker. The horse was all she had. A lack of money and other necessities were a priority. A Thoroughbred hadn’t been in the budget, but at this very moment a stallion was what she wished for. She didn’t like to swear. Her younger sister did plenty of it for both of them, but today she’d make an exception. She glanced behind her at the woman lying beaten in the back of the wagon. Sarah Fuller had come to her on more than one occasion. 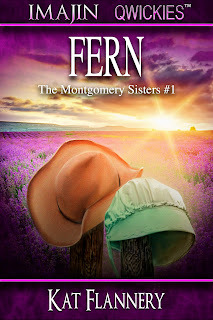 Fern had used the remedies taught to her by her father to mend the cuts and bruises Sarah’s husband, Robby, had given her. Today was different. Sarah had arrived slumped over her horse and unconscious, her face so badly bruised and swollen she was almost unrecognizable. But when Fern tried to wake her there was no response. Without a second thought she’d left her sisters and headed into town. She needed to get Sarah to Doc Miller’s. There was something wrong beyond Fern’s abilities, and she wasn’t qualified to assess her to determine what it was. She knew her plants and the vegetables within her garden well. She also knew how to use them medicinally. Her father, a doctor, had believed in using the landscape and what it grew in aiding the sick. Not everything could be cured with opium or morphine, he’d say. When he passed away two years ago, Fern had continued to help those who came to her. It was her passion and how she supported her younger sisters. She loved toiling in the soil, caring for her plants, and she enjoyed helping those in need. 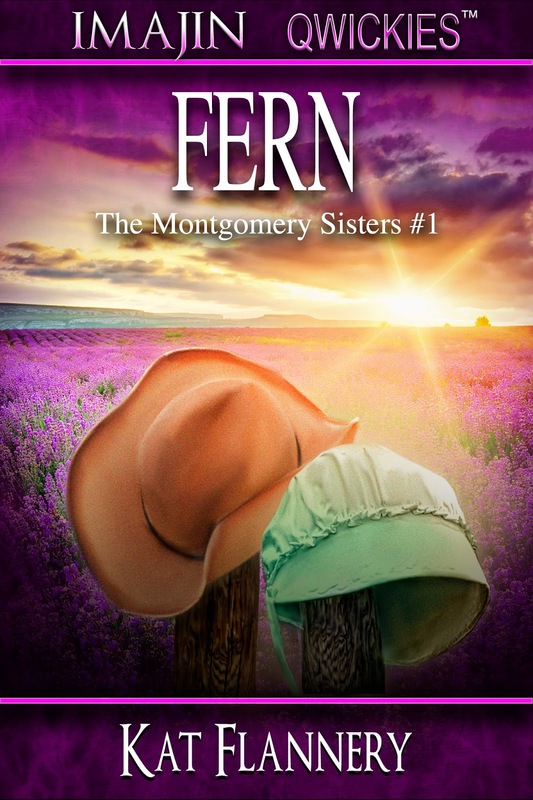 She pulled on the reins to slow Nelly down as the wagon rounded a corner on the dirt road. The sun was climbing higher in the sky, and she wiped a bead of sweat from her brow as she passed the creek. Had there been time she would’ve stopped to soak her handkerchief and lay it at the base of her neck to cool her off. Instead her heart thumped rapidly in her chest causing her face to flush. Tiny black dots danced before her eyes. She blinked to clear her vision. She fanned her face and slapped the reins with the other hand. Please God, let Sarah be okay. She blew out a long sigh when she saw the church on the outskirts of town. “Almost there, Sarah,” she whispered more for herself than her unconscious friend. Main Street was busy with women and children shuffling along the boardwalk. Men lined up outside the livery waiting for supplies while several elderly men puffed on their pipes a few feet away. She passed Mayor Smith standing in front of his office. She shivered. He repulsed her. Refusing to meet his glare, she stared straight ahead. The rotund man wanted Fern for his wife. After many polite declines he turned bitter, siding with Pete Miller in his charge to stop her from selling the natural medicine. There was no way she’d agree to such an absurd demand, and her choice resulted in a one-sided feud with the two men doing everything in their power to stop her. She pulled on the reins and halted the wagon in front of the doctor’s office. She hiked up her skirt and jumped from the seat. There was no time for etiquette. She was sure the uppity women of Manchester were tipping their noses at her now. Well she didn’t care. If any one of them came near her, she’d blast them. Fern pulled on the door and nearly took her arm off. It was locked. “Not unless you’re a doctor,” she replied, ignoring him to climb into the back of the wagon and assess her friend. He jumped into the back of the wagon. She had no choice but to acknowledge him then. Wide shoulders fitted within a denim shirt displayed thick arms and a wide chest. Her gaze moved upward to a square jaw, high cheekbones and dark brown eyes. A jagged scar cut up the left side of his face to pull the corner of his eye down just a bit. It looked to be from a knife, but she couldn’t say for sure. Her cheeks grew warm, and she focused on her friend. Brows furrowed, he inspected Sarah’s arms, legs and back. He brushed the hair from Sarah’s face and inhaled sharply. His eyes locked with hers. She bit down hard on her bottom lip to stop herself from going off on the oaf. He placed two fingers to her neck.